Over a couple of trips last year, we summited the 14 tallest mountains in Wales. Although we both love the Welsh mountains a great deal, we needed a new challenge. 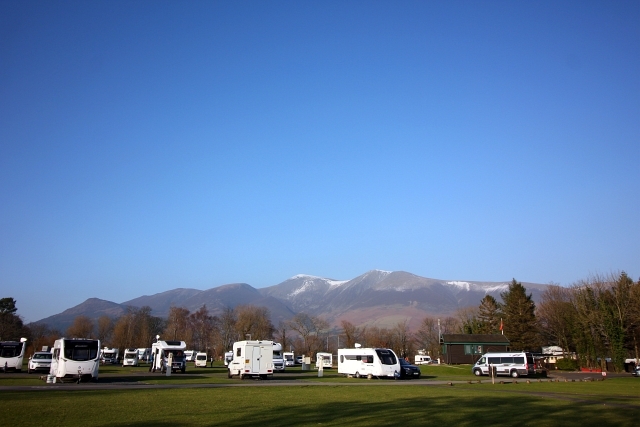 So this February half term we ventured even further north – up to The Camping and Caravanning Site in Keswick in the Lake District. Neither of us had ever been to the Lakes before, so when we turned off the M6 and started driving down route 66 (A66) we were really stunned by the sheer beauty of the Lake District National Park. As we got deeper into the park, the lakes themselves came into view and the crystal clear February visibility gave us some impressive vistas to enjoy. This was easily one of my most memorable and enjoyable drives (well, definitely in comparison to the M6 by Birmingham). Plonked quite centrally in the north of the Lake District is Derwent Water and the town of Keswick (you don’t pronounce the w unless you want to annoy people and be corrected a lot!). This is where we had decided to stay. 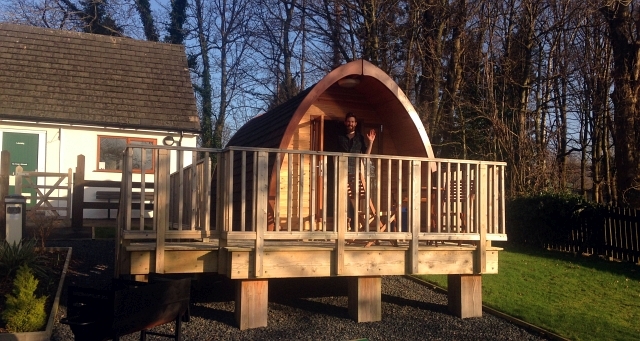 After having such a great and comfortable stay in the Pods at the Caravan and Camping Club Campsite in the Forest of Dean last October, we had decided to seek out another campsite offering this awesome accommodation. 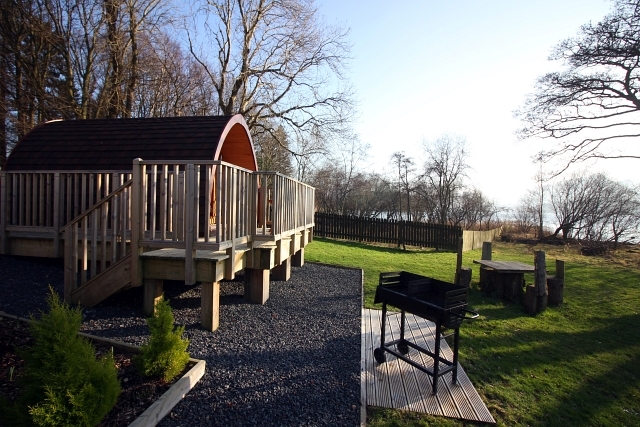 Luckily, the Caravan and Camping Club have loads of sites all around the country including several in the Lakes. 1. 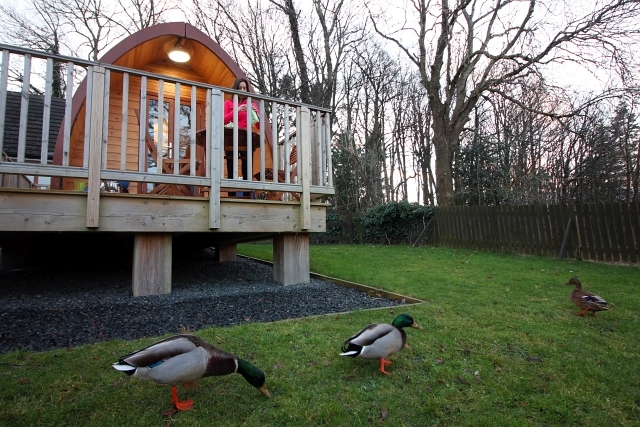 Although structurally the pod is exactly the same, at Keswick they have been built on a raised decking area. This gives you lots of room off the grass to relax and enjoy the surroundings. 2. 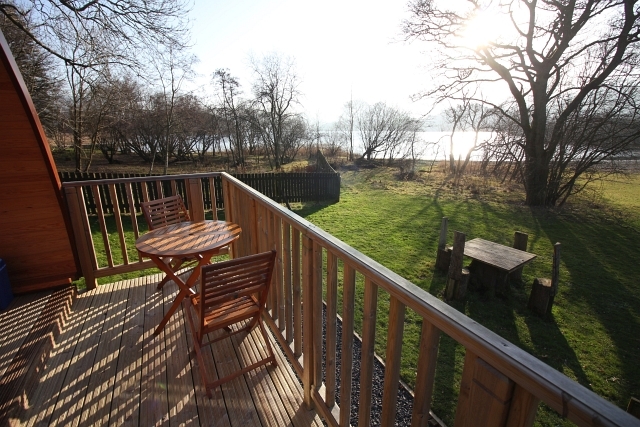 On this decking are a nice little table and chairs which is a great spot to eat breakfast in the great outdoors and feed the ducks and robins which will come to visit you every morning if you offer up some of your porridge oats. 3. 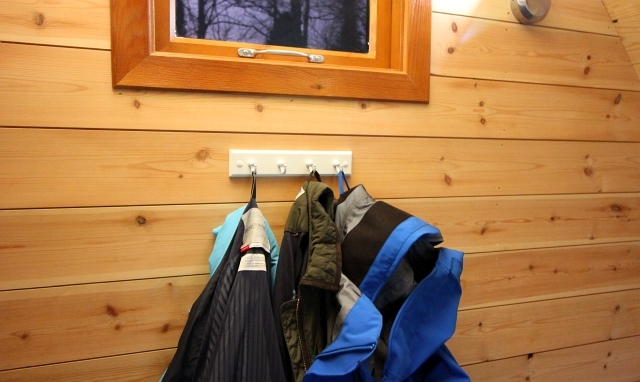 As if they had read our minds from our last stay, the very helpful staff at Keswick had put up a couple sets of hooks. These are perfect as you really do need somewhere to hang up your coat, towel or car keys. 4. Above the porch area they have put up a really great, nice and bright, motion-activated light. This doesn’t sound like much but during the winter this revolutionises how we used the outdoor space and made our stay even more comfortable and easy. 5. 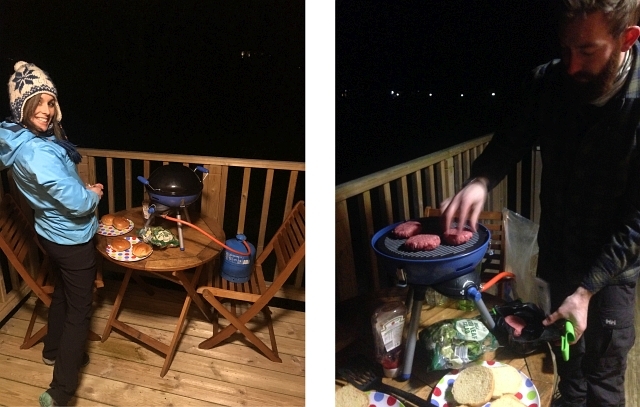 Furthermore, in front of the pod there is a second seating area for up to four people and a large barbecue. This spot sits right in front of the huge grassy area in front of the lake and is a brilliant spot for cooking and eating. 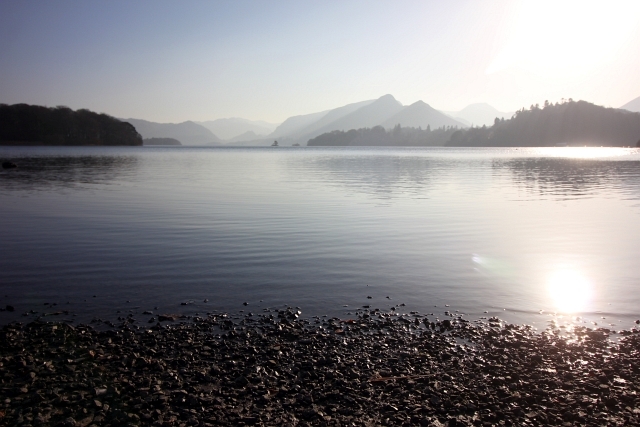 •	Derwent water, where you can hire boats, SUPS, kayaks and canoes, is right on its footstep. 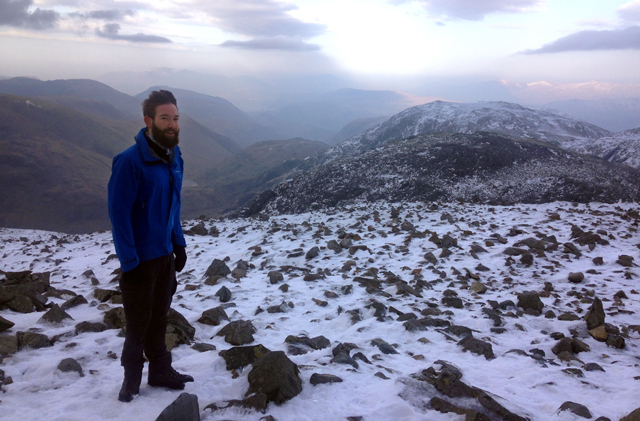 •	Scafell Pike, which we climbed through the snow to get to the top of, is just 25 minutes away. •	Helvellyn, with its classic ridges of Striding and Swirral Edge (which we climbed with ice axes and crampons) is only 25 minutes away too. •	The famous Lake Windermere is just 40 minutes in the car. 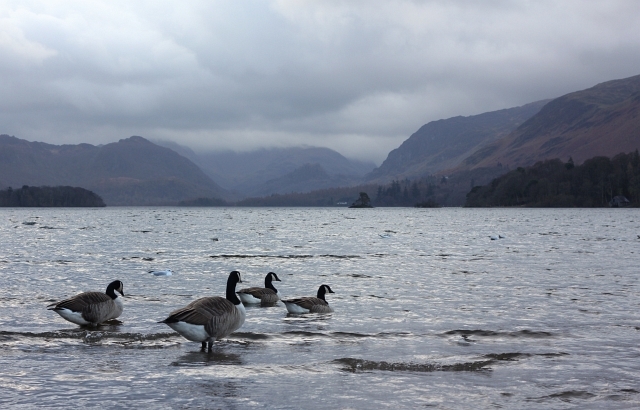 We spent so much time exploring the Lake District that we only spent a couple evenings and a bit of a morning in Keswick itself, but it is a lovely town with lots to offer. I’d compare the feel of it to other mountain-focused towns such as Betws-y-Coed in Snowdonia. There are more hiking shops than you can shake a walking stick at and the whole town is clearly in love with the area. There were lots of great pubs and restaurants around and we would personally recommend the Dog and Gun pub for its large selection of local ales, Bar Metro for its awesome milkshake and hot dogs and Lakeland Spice for a nice Indian meal with fast service. The Keswick Caravan and Camping site, like all of the others I’ve stayed in, was always impeccably clean and well presented. The showers were always hot, even in busy times and the facilities were faultless. Showers and hair dryers were both free and plentiful. We were even told that as we were staying in the Pods we could pop in and use the backpacker’s room which had washing up facilities and even a microwave. 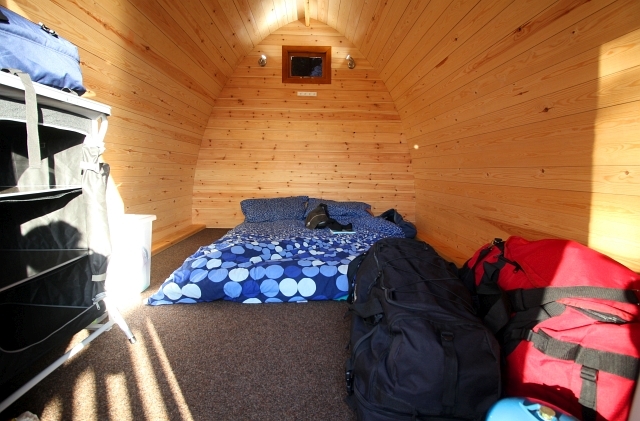 The pods are excellent if you’re a fan of creature comforts or for camping in winter when sleeping under canvas and dark days can get a bit tiresome and chilly. We both remarked on how happy and friendly all the staff were. They all wanted to stop and say hello, have a chat and offer their abundant local knowledge. Nothing went wrong with our stay but I just knew that if there had been a way for them to help, they would have. 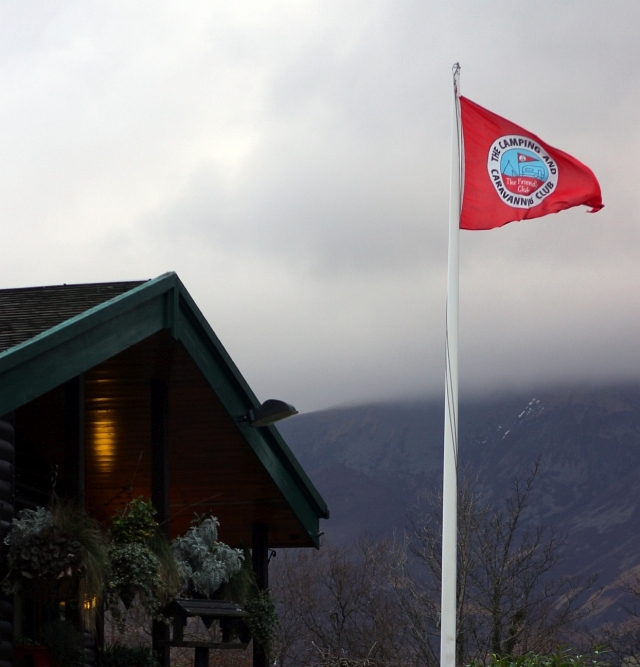 We wondered how they managed to keep all their staff buzzing with enthusiasm, even in February, I suspected there was some sort of daily dose of Prozac, but then when one gentleman referred to the campsite – with its inspiring panoramic view of lakes and mountains – as being his office, I understood why they were all so happy. Keswick and in particular, this campsite is a brilliant, life affirming place to be.